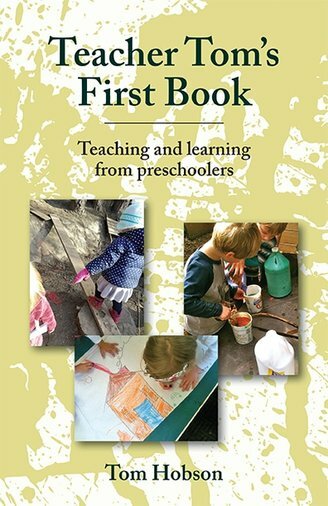 Peanut Butter Publishing today announced the release of renowned early childhood educator Tom Hobson’s first book, appropriately entitled Teacher Tom’s First Book. Known for his popular namesake blog, Teacher Tom’s Blog (http://teachertomsblog.blogspot.com), Hobson’s book is a collection of short essays about teaching and learning from preschoolers, by turns hilarious, thought-provoking, and moving. Hobson, a teacher at the Woodland Park Cooperative School in Seattle, Washington, has been writing about early childhood education, teaching, and parenting since 2009, posting on his blog daily. He is a sought-after public speaker, having traveled the globe from the US and Canada to Australia, New Zealand, China, and Europe. He hopes that his book will bring his message to a wider audience.